This was just a basic build. Would be easier to use Mutants & Masterminds and convert toughness to hearts. I strongly agree. I’m playing around with ideas using Heroclix or Mutants & Masterminds conversions. Someone did create a Heroclix conversion to ICRPG but I don’t remember where I found it. any thoughts on a superhero book good sir? For rules or just inspiration? Mutants & Masterminds is the D&D of Superhero RPG’S. DC Adventures is Awesome. M&M stats for almost every DC character. I love both Marvel and DC for inspiration. I also love the TV series Heroes. Heroclix and Dice Masters are both great games if you love superheroes. i have all of the heroes unlimited book for rifts (old school) with hundreds of powers already build with upgrades and roll charts. these are what i use when trying to build new mechanics for icrpg powers. I’ve never played RIFTS. I’ve played Marvel Superheros ( TSR), Champions, Marvel Universe, Heroclix, and Mutants&Masterminds. M&M is the best I’ve seen so far. Rifts looks sweet but I’ve never played it. 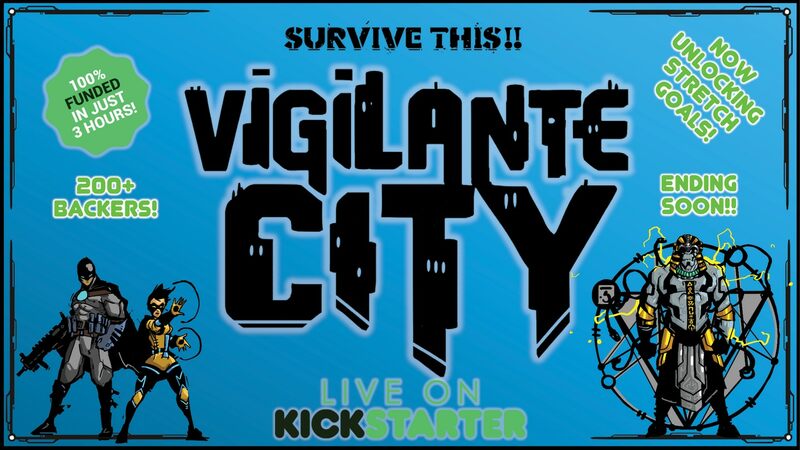 Also Bloat Games will be publishing Vigilante City in July 2019 (still a while) but the Kickstarter has unlocked an ICRPG conversion! SURVIVE THIS!! Vigilante City is an RPG heavily influenced by the 90s cartoons Batman: The Animated Series, X-Men, Spider-man and TMNT! I grew up on Rifts. We were rolling D20s before rolling D20s was cool. Hank did a lot of the art. I backed the Kickstarter specifically for the art. @Runehammer , @Alex is there any update on if or when this is going to be a reality ??? According to an email I received yesterday from Kickstarter, there will be an update next week.